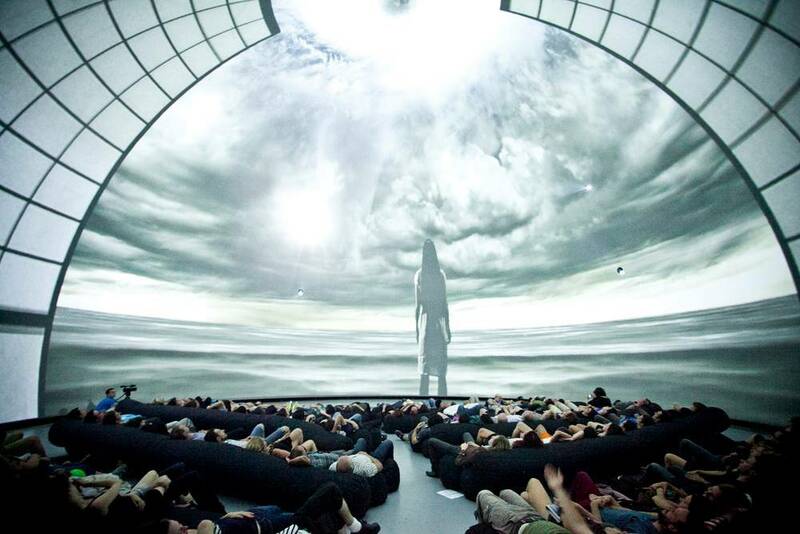 Fulldome refers to immersive dome-based video projection environments where the viewer is surrounded by the video projection in a hemispherical angle of view. The dome, horizontal or tilted, is filled with real-time (interactive) or pre-rendered (linear) computer animations, live capture images, or composited environments. Even though astronomy is the most common topic, there are no content limitations and it’s now used also for entertaining shows and other hyper-realistic presentations. 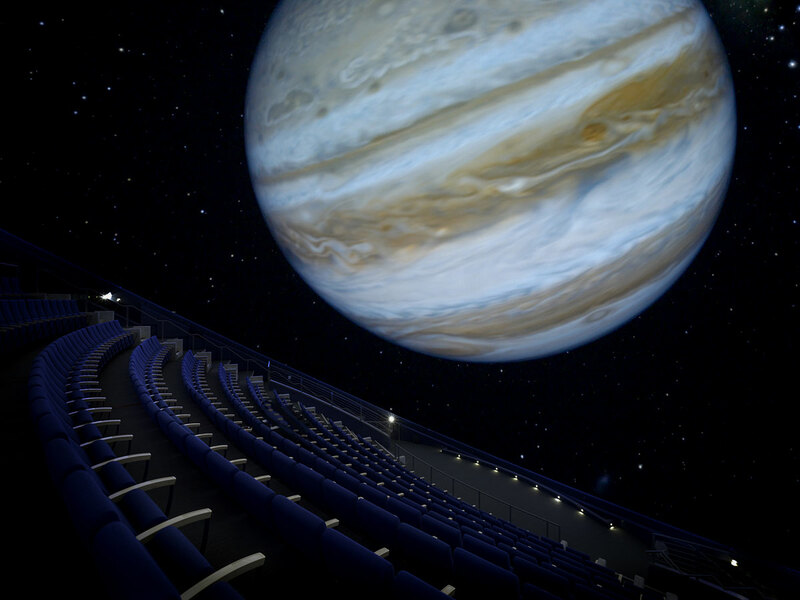 Although the current technology emerged in the early-to-mid 1990’s (USA and Japan), fulldome environments have evolved from numerous influences, including immersive art and storytelling, with technological roots in domed architecture, planetariums, multi-projector film environments, flight simulation, and virtual reality. Early live-action dome cinemas used wide-angle lenses and 35- or 70-mm filmstock. There are still around 125 giant screen dome cinemas operating in the world. However the expense and ungainly nature of the giant screen film medium has prevented more widespread use. Also, film formats such as Omnimax (Imax Dome) do not cover the entire dome surface, leaving the rear section of the dome blank (though, due to seating arrangements, that part of the dome was not seen by most viewers). Early approaches to fulldome video projection utilized monochromatic vector graphics systems projected through a fisheye lens. Contemporary configurations employ raster video projectors, either single projectors with wide-angle lenses or multiple edge-blended projectors to cover the dome surface with high-resolution, full-color imagery. 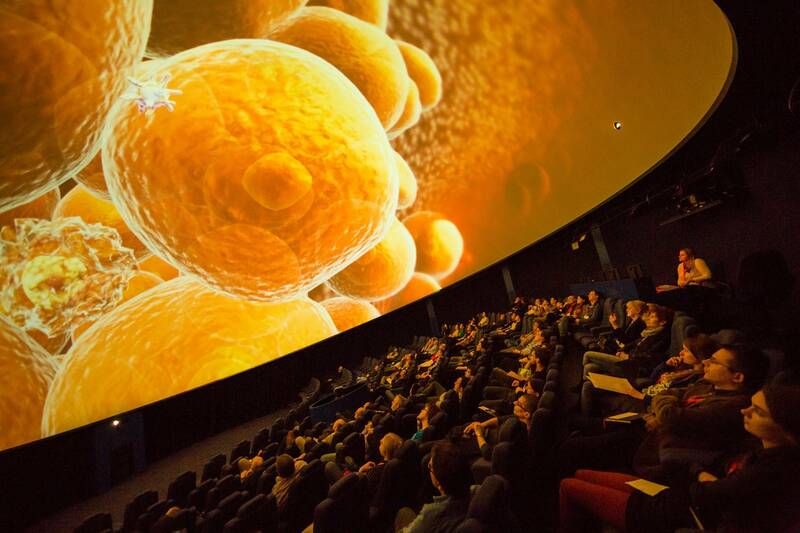 The fulldome experience comes out as one of the most immersive and entertaining ways to engage a wide range of people with a limitless scope of applications, including education, arts, games and wellness. 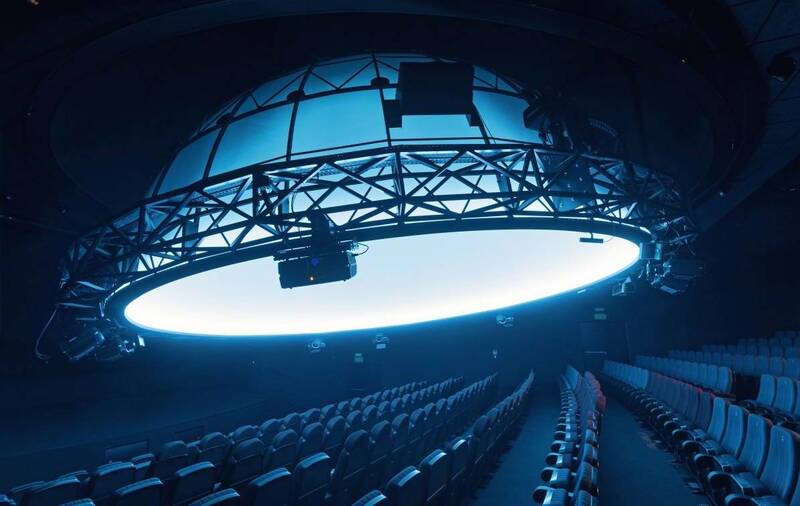 Fulldome media is experiencing enormous growth with new planetariums and digital theatres being built around the world, reaching out to new audiences to make them fall in love with such beautiful technology.